Can a design be both modern and rustic at the same time? 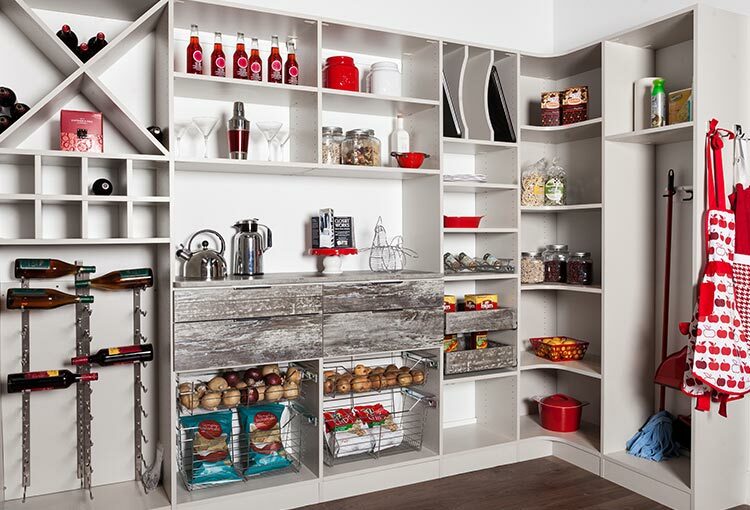 We think so and this farmhouse pantry closet design proves it! 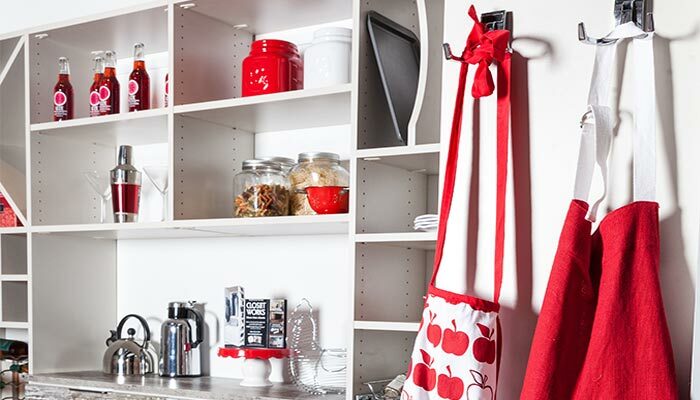 The basic structure of this pantry organizer system is designed with clean, off-white laminate using stainless steel hardware and accessories — definitely a modernist aesthetic. 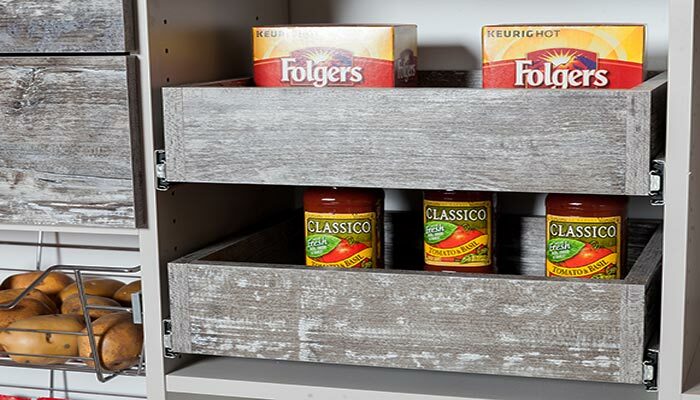 However, a strong feeling of traditional farmhouse warmth is injected through the use of accent pieces, especially the rustic pantry drawer fronts in a distressed Intrigue laminate. 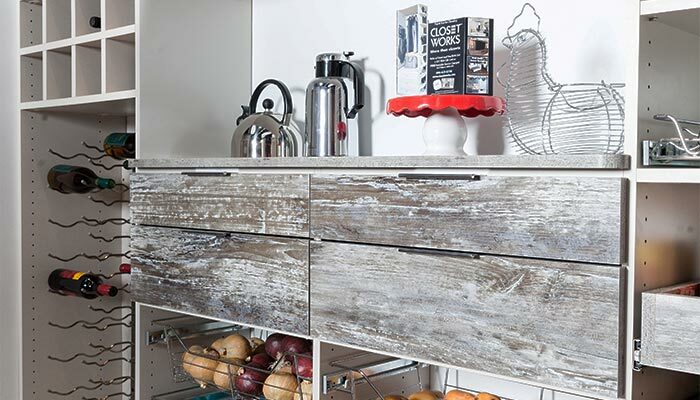 The simple style and weathered look of these drawer fronts evoke memories of a vintage family homestead, or perhaps the rustic pantry of your great grandmother that gave birth to the greatest family recipes. 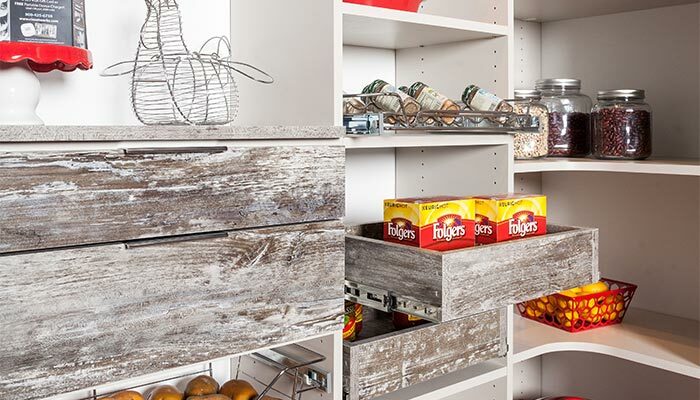 This rustic pantry, however, is anything but old-fashioned — filling modern day needs with its high style and functionality. 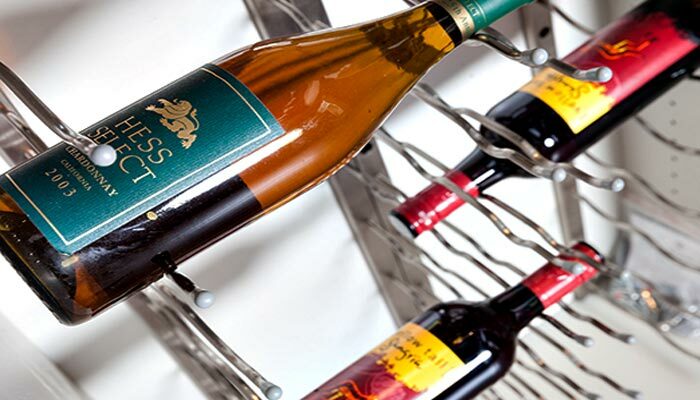 It is a highly organized pantry design that devotes one side of the system to organizing beverages and includes a chrome wine rack that can hold up to 54 standard size bottles of wine, an x-shaped beverage cube that keeps bottles stored horizontally with no worries that they might roll or fall, and eight wine cubbies that can hold up to two standard size wine bottles each. 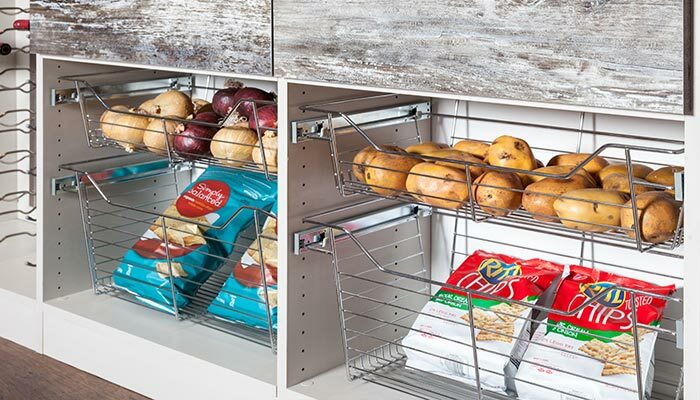 Pull-out wire baskets in the lower center of the pantry are perfect for root vegetables like potatoes and onions. The deeper ones are also a convenient place to keep delicate bagged snack foods like potato chips — preventing breakage and ensuring you don't end up with a bag of crumbs. The vertical tray organizer is perfect for the hard to store oversize platters, large broiler pans, cookie sheets and trays that accumulate in every kitchen. There's even a section separated from the food for necessary kitchen cleaning supplies and tools.